Andrew Moore. Photo courtesy of Crime Stoppers. An East Coast couple was in San Diego on Tuesday to award a City College student a scholarship in the name of their son, whose murder nearly 18 years ago in the Cortez Hill area near Balboa Park remains unsolved, and to once again ask for public help to find his killer. Richard and Rita Moore of Lebanon County, Pennsylvania, come to San Diego each year to award the $500 memorial scholarship and renew their longtime plea for any information that could help cold-case detectives determine who fatally bludgeoned their 26-year-old son inside his apartment near Balboa Park. 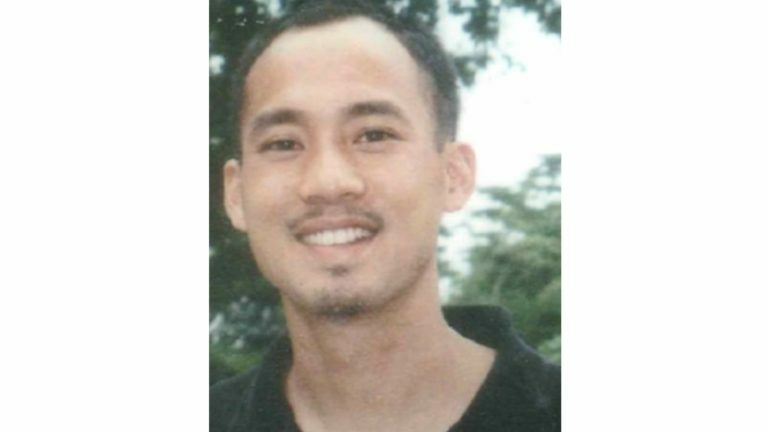 A reward of $56,000 for information leading to an arrest and conviction in the case has stood for more than 12 years. Most of it was posted by the governor’s office, with $5,000 put up by the Moore family and another $1,000 by San Diego County Crime Stoppers. At one point in the years since the slaying, authorities put up a billboard at Highland Avenue and 30th Street — near the National City-San Diego line — in hopes of generating leads in the case. A relative found Andrew Moore’s body on Sept. 11, 2000, in his rented studio at the corner of Ash Street and Eighth Avenue. Police believe he was bludgeoned to death two nights earlier, the same day he was seen entertaining three unidentified people — two women and a man — in his apartment. The residence had been ransacked, and a set of expensive cutlery had been stolen, along with the victim’s red 1994 Suzuki Katana motorcycle, which turned up abandoned in the nearby Golden Hill neighborhood weeks later. Andrew Moore was adopted from Vietnam in 1974, grew up in Pennsylvania and moved to Southern California following high school. In San Diego, he initially lived with his uncle and worked various jobs, including a stint at SeaWorld. At the time of his death, he was attending City College and was employed as a chef at a Gaslamp Quarter restaurant. “He loved everything about San Diego,” his mother told reporters during the couple’s annual trip in 2016. His parents believe their friendly and outgoing son may have been victimized because of his open and trustworthy nature. Anyone with information about Andrew Moore’s death is urged to call the SDPD’s Homicide Unit at (619) 531-2293 or the San Diego County Crime Stoppers’ anonymous tip line at (888) 580-8477. Anonymous tipsters can also contact the organization online at sdcrimestoppers.org.